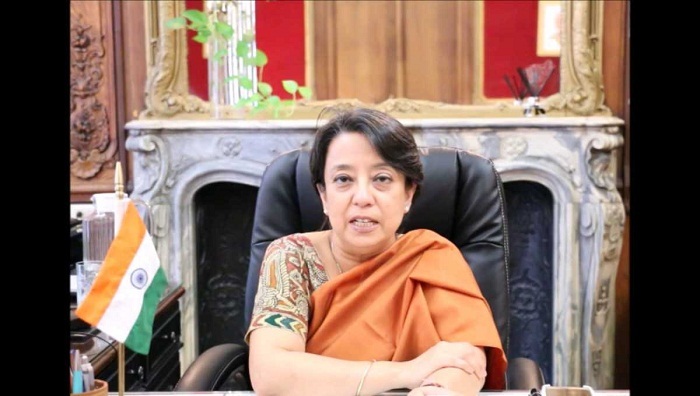 Newly appointed Indian High Commissioner to Bangladesh Riva Ganguly Das is scheduled to arrive in Dhaka on Friday to take up her assignment, said a diplomat on Wednesday. Riva Ganguly, a senior diplomat, was serving as the Director General of Indian Council for Cultural Relations (ICCR). Harsh Vardhan Shringla, who was Indian High Commissioner here, is now Indian Ambassador to the United States of America (USA). Born on December 24, 1961, Riva Ganguly obtained a postgraduate degree in Political Science from the University of Delhi in 1984. She later taught Political Science at the University of Delhi before joining the Indian Foreign Service in 1986.